Kotaku are reporting that the Nintendo Wii U may actually be pretty powerful, more so than the Xbox 360 and PS3. And this is coming from developers who are working on new games for the console. This may therefore be much more reliable than the usual random sources. Check out the article to read more. 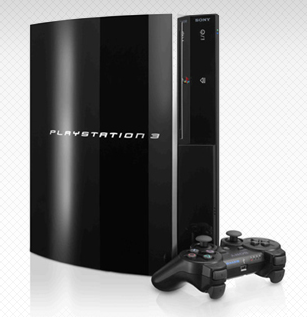 PS4 – No A New Playstation 4? Just to confirm what you must have already assumed. Sony are developing a new Playstation 4 or PS4 as some like to say. That is according yo widespread reports today detailing quotes from Sony CFO, Masaru Kato on a conference call with investors asnwering questions about Research & Development costs. Like us you are probably not surprised and whether you are or not, check out the concept pictures we posted not too long ago! Also let us know what you would like to see from a PS4 in the comments section below. Sony have announced that they are to port key PSP titles across to the PS3 in HD and with key feature enhancements. It is not yet clear which titles will be coming across and we have also read on other reports that gamers will be able to play across both formats and move game saves. It may well be not all features and enhancements will be available on all ports of the PSP games but still a pretty nifty development for PSP and PS3 gamers.